I have to admit something. I don't care for the BBC series Brother Cadfael and don't think highly of the books either. It's a dislike rooted in how the series portrays the Middle Ages and its approach to religion. One gets the impression that if Cadfael wasn't under the authority of ignorant men, he'd be able to accomplish so much more. At other times you see religion portrayed in a way that the Church specifically spoke against doing—trials by ordeal, allowing a man to abandon his wife to enter a monastery, etc. Behavior where the viewer asks "How could The Church ever allow that?" Actually, they didn't. No doubt there were some places where abuses took place, but the abuse is not the same thing as being sanctioned by the official teaching of the Church. In both cases, the Church in medieval times is portrayed in a way which startles viewers and makes them think that Catholicism behaves badly by its very nature—that people are right to oppose it. a (non-rebel) priest assisting the heroes instead of the villains? a (non-rebel) Crusader who wasn't portrayed as ignorant and brutal in comparison to the Muslims? a (non-rebel) priest, monk or nun who wasn't portrayed as viewing technology and science as evil... or at least suspicious? a (non-rebel) priest who wasn't either cold and intolerant or naive and inexperienced when it comes to dealing with those in need? Odds are you haven't seen it very often—if at all. In general, the portrayal of the Church—especially with fiction set in the past (or a Church-like institution if the genre is fantasy)—is one of oppression and opposition to reason, mercy or justice. Those that don't have these vices are rebels who scoff at the rules of the Church, getting it right when their legalistic fellow clergy are shown up to be buffoons, knaves or hypocrites. It's not always a malicious thing—I suspect most authors or producers don't wake up one morning and think, "Hey! Let's make the Church look bad!" The ludicrous anti-Catholic theories portrayed by Jack Chick or Dan Brown are extremes. But extremes are often distractions from the less flagrant misrepresentations. Some might want the Church to look bad. But probably more often we have a case where people merely portray the Church according to the stories they have been led to believe are true. But the fact is the Catholic Church does not teach the faithful to act like this. So the general image shows create: that Catholics (especially priests and nuns) do behave this way—because of their Catholicism—is a problem. I find that often, when it comes to portrayal of the Catholic Church in books, movies or TV, the portrayal of the behavior in a religious community is shown as aberrant—but gives the viewer or reader no sense of context so they can understand that the behavior actually is appalling to the practicing Catholic as well. Of course, when a Catholic objects, the response is "It's just a work of fiction! Don't take it so seriously!" But that response is to miss the point. The portrayal of the Church in fiction is implied to be based on the real Church of history. People see the "historical portrayal" and assume that the author must have done some research or he/she wouldn't make the assertion. (This actually happened in response to the "historical" assertions made in The Da Vinci Code). The problem is, regardless of the motivation, the media tends to portray the Church (or, in fantasy, a fictional church with the trappings of the Catholic Church) as being one or more of the following: corrupt, jealous of power, judgmental, avaricious, suspicious of science, arrogant, hypocritical, arbitrary... I could go on. The idea being presented is that being a part by choice of this Church makes one hostile to compassion and progress. Those within the Church who don't have these vices are generally giving the impression of being naive or being seen as a misfit by others in the Church. Now, yes, it is true that there are people within the Church who possess these traits. Some of these may also have authority within the Church. But, you can not start with a SOME and conclude that the SOME is a proof of the whole. The fact that Some X is Y does not allow us to make a judgment about the whole of X. So, no doubt some churchmen are avaricious or hypocritical. But that does not mean all are. Think about the racial stereotypes--it's the same error. I can find some members of an ethnic group that match a stereotype—but trying to claim these members of the group accurately represent the whole group is unjustified. There's another error here, the post hoc fallacy. It assumes that because a person belongs to group A and has objectionable view B, it means membership in A causes behavior B. This shows that the behavior of an individual Catholic or small group is not necessarily caused by the Church. The Church teaching, after all, is that abortion is never permissible. It's also the Church position that being corrupt, jealous of power, judgmental, avaricious, arrogant, hypocritical or arbitrary (etc.) are not permissible behaviors. So, just as Pelosi holds her position in opposition to Church teaching, the Catholic who holds these vices do so in opposition to the Church. So that's why I get annoyed when the Church gets portrayed in this way in fiction. The bad behavior of some is used as the basis for portraying Catholics as a whole in a bad light, when it is not reasonable to do so. See, we wouldn't mind a portrayal of Catholics behaving badly if it was made clear that their behavior went against what the Church requires. But mostly it isn't made clear. The viewer or reader is given the impression that the portrayal is typical of the Church at this period. A non-Catholic viewer/reader is left with the impression that the Church is that way by nature. Aside from the issues of bad reasoning and presuming that the whole is guilty of the part, there is another problem. That problem is the falsification and exaggeration of history. There are things that the Church was accused of doing, but did not. There are things that the Church was accused of not doing, but did. There are also places where action or inaction by the Church was grossly exaggerated. Therefore the Church is evil. The problem is, the major premise is either false or distorted about the X that the Church was alleged to have done or said, (I've already addressed above the problem of claiming the whole Church took part in an error on the grounds that some did, because you can't allege the whole is guilty of the sins of the part). In the minor premise, the problem is the X done by the Catholic Church is not always the intrinsic evil act (evil by its very nature) it's accused of being. Think the old "Catholics worship statues" accusation: Since Catholics don't worship statues, the fact that "Worshipping statues is evil" doesn't apply. If it is not intrinsically evil, then conditions may exist when the act is not evil. Also, while the Church may have done an act, it doesn't mean that the act done by the Church is the action condemned as evil. When the premises are false, then the argument is not proven. You can't use the argument to prove your point. So if the Church didn't say or do X or the X that the Church did wasn't the same act people associate with evil, then the conclusion "Therefore the Church is evil" is unproven. Again, the ludicrous examples of this argument come from the allegations of people like Dan Brown and Jack Chick. But the problem is, when people set the bar at the level of Jack Chick and Dan Brown, less extreme examples come across as seeming true. The Internet can tell you many things . . . and some of them might even be true. The action was not something done by the entire Church, but actually came from local customs and were only carried out in that area. People of a nation take up something actually condemned by the Church. The first case is an exoneration. The second case shows the accusation is confusing SOME and ALL. The third case shows the accusation is blaming the wrong party. Examples of the First Case could be things like "Jesuits were trained assassins" (nope), or "There was a female Pope" (we can account for every Pope in the timeline when she was alleged to have reigned) or Leo XIII said in 1900 that it was good to burn heretics (a fabrication made up by an ex-priest) etc. These things are alleged to have been done or said by the Church, but in fact these are false. They never happened. An example of the Second Case includes the medieval Trials By Ordeal, Witch Trials (both holdovers from the Germanic Barbarian invasions—customs that preceded the Church missionary activity in the Dark Ages and Middle Ages), or in more modern times, the sensational news stories made about Ireland about the care for children—that turn out to be less than totally accurate in terms of scope and severity. Examples of the Third Case are the abuses the Spanish carried out in the New World. The Church condemned the revived Slave Trade. 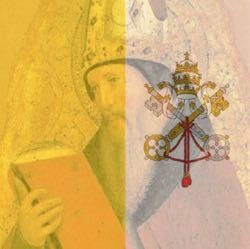 For example, Sicut Dudum was issued by Pope Eugene IV (lived 1383-1447) as soon as news of the enslavement of the natives of the Canary Islands. If you read it, you'll see pretty much everything the Spanish did was condemned in 1435—57 years before the Europeans first encountered the New World. So why did it remain a problem? Well, it's kind of like the abortion problem today. The Church keeps condemning it, and Catholic politicians keep ignoring the condemnations. If the politicians aren't afraid of Hell, the Church doesn't have very many options. The point of these three cases is, the Church is often condemned as a whole for something totally fabricated, something practiced as a custom by only a portion of people who professes the Catholic faith, or something actually condemned by the Church. There's another problem to remember too. When we look at the past, we will find things which seem startling to our 21st century sensibilities. We look at how government functioned and justice was carried out and feel appalled. Of course, I imagine we'd also be appalled by medicine and hygiene back then too. The difference is, we're not morally appalled by the problems with hygiene and medicine. The problem is, we recognize that the advances in hygiene and medicine came about as people learned more, but we don't realize that the same advances in government and law came about the same way . . . nope, people assume that we had sadists in charge and they were sadists because the Church said it was OK. That's the approach I'm often seeing fiction take with Catholicism. The effect of these beliefs in the medium of fiction, whether in books or in TV or in Movies is that many people substitute relying on an author or director in place of actually seeing if these allegations of action or attitude are true and taught by the Church. Now these authors, whether through malice or ignorance or something in between, are portraying a false image of the Church by allowing it to appear that the Church was responsible for these behaviors and attitudes that seem repellant to us. If the author or director is attempting to give the impression that his portrayal is historically accurate and was the common Catholic practice, he has responsibility to do basic research and report what a thing actually was. The failure to do so makes him responsible for slander or libel depending on whether the falsehood is spoken or printed—either by deliberate action or by negligence. But the fact that we have writers, directors and the like, who do make these kind of assertions requires the viewer or reader to practice responsibility. One ought not to just assume that what is alleged is true. Any fool can allege any kind of secret conspiracy by the Church in a work of fiction. Any writer of fantasy can portray his monks as drunken, debauched hypocrites. Any TV show or movie can portray the Church as cruel, greedy and intolerant. But the question remains… Is it true? The viewer or reader has the responsibility to assess the claims made by searching for credible sources which accurately report history and the teachings of the Church. There are many anti-Catholic sites which make all sorts of bizarre claims—usually all relying on a very limited number of biased sources. So search wisely, and don't assume that the portrayal in a work of fiction is accurate.